In 2012, speculation began as Google filed for and was awarded a US patent for self-driving technology. 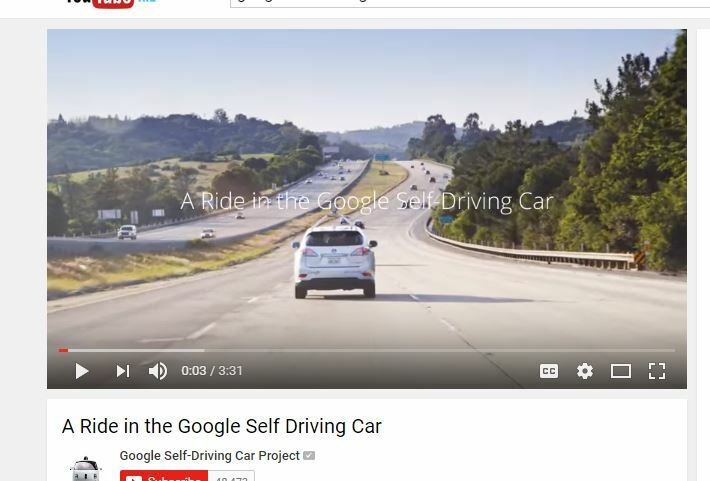 This was the first step in Google’s long-term planning, for it’s now very real and very near release of a self-driving vehicle and Taxi service. They were awarded the patent concerning the intellectual property rights of an innovative method to switch a vehicle from a human-controlled mode into the state where an advanced AI system then takes the wheel. Recently, Google has been pushing to eschew the need for a steering wheel and human intervention all together and while that has proven to be a roadblock go the tech giant, they’ve still made significant advancements elsewhere. Among the many innovations that Google has developed or co-developed with actual auto companies, is this unique patent application the tech giant has most recently filed for this May. The tech futurist developed a bizarre adhesive front end for their self-driving cars – which has been referred to by the press and internet users as well… “pedestrian flypaper” essentially. Google is literally sticking it to their new car project. Icky puns aside, it should be noted that there is some real method to Google’s apparent madness. You may find this development kind of silly (see diagram) but there’s a legitimately noble explanation behind the image’s somewhat ridiculous design. You see, when a vehicle comes to collide with a pedestrian, there is actually more than one impact for the person in question. They include the initial strike from the car, and then another is the impact with the road or another vehicle. Armed with the understanding that it is only a matter of when rather than “if” a Google self-driving car could come to strike a pedestrian, this ‘flypaper’ would, in theory, cut the number of impacts by half. Based on the diagram, it appears as if Google’s engineers are envisioning an adhesive layer being stored under a breakable eggshell-like coating. The shell would break during a collision and the protective adhesive layer would be uncovered allowing the hood to stick to other objects (read: people) on the road. This month a Google spokeswoman discussed at length that when Google had filed the patent, there is still no guarantee that it would be included in the car’s mass production. Not the be overshadowed by the tech giant, Google is not the only car manufacturer to develop somewhat unorthodox ways of protecting pedestrians from vehicular collisions. The newest Volvo V40 comes with external pedestrian airbag, positioned at the base of the windshield, where a pedestrian who is struck by the car often receives head injuries. Also, Jaguar Land Rover has begun fitting their European models with a small explosive charge designed to elevate the car’s hood by several inches to help soften the impact that a pedestrian experiences. So what does this all mean for Google and Self Driving Vehicle Safety? In light of car companies pushing to do away with human driver intervention, it seems the priorities have shifted to ensuring that these machines run as smoothly and safely as possible. It also means another victory for Google when it comes to patenting the proprietary tech and development of autonomous vehicles in the US. So you can be the competition will be racing to match.